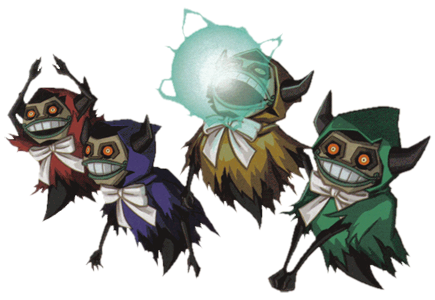 The Diabolical Cubus Sisters are the fourth Dungeon Boss (Ghost Ship Dungeon) in the Legend of Zelda: Phantom Hourglass released in 2007 for the Nintendo DS. 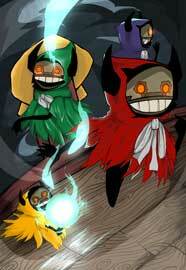 The Cubus Sisters did not appear in any other games so far. 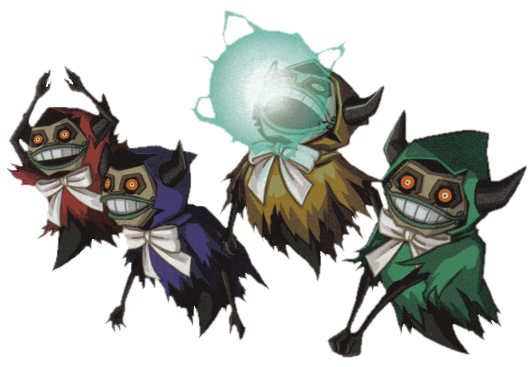 The Cubus Sisters are another “Dead Man’s Volley” Type Boss in the Legend of Zelda series, three from them will attack Link with Laser Beams, one with an Energy Ball that can be hit by Link and returned to attack the sisters. If only one of them is left, she will attack Link with fake energy shots alongside the one that can be hit by Link. The Cubus Sisters were drawn for our big Link’s Blacklist Art Collaboration about the Monsters and Bosses in the Legend of Zelda games. PeteyXKid illustrated the Cubus Sisters as the first artist for the Project!